This theme has been discontinued and is no longer available for purchase. If you purchased this theme, you now have a lifetime license to all future updates. Please contact me if you have any questions. 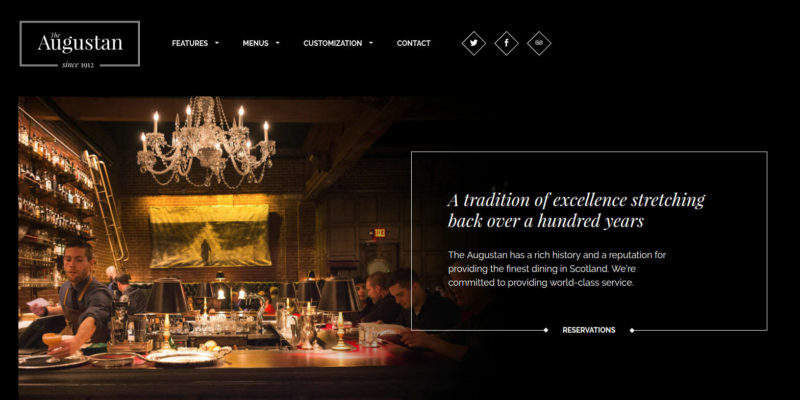 Everything you need to build a better restaurant website. Get everything from Augustan plus these powerful plugins worth $95.